Read the whole story. Click Here. Go to the webpage to view the history of passing the Vermont GMO Labeling Bill! Listen to our new interview with Elle Cochran, Council Member, Maui, and Kate Webb, Representative from Vermont who both introduced a Mandatory GMO Labeling Bill in their states, and even with strong support from their citizens, the rest plays out like a new version on a David and Goliath story. Vermont WON. We now want Maui to WIN! Find out how Vermont passed a GMO Labeling Bill. Council Member Elle Cochran Visits Monsanto's "Crown Jewel" Research Facility located right on Maui Island. Listen to Elle Cochran Interview on Monsanto Research Facility in Maui, their "Crown Jewel" testing farm. Read broadcast transcript or bill submitted for passage in Hawaii for "Mandatory GMO Labeling." 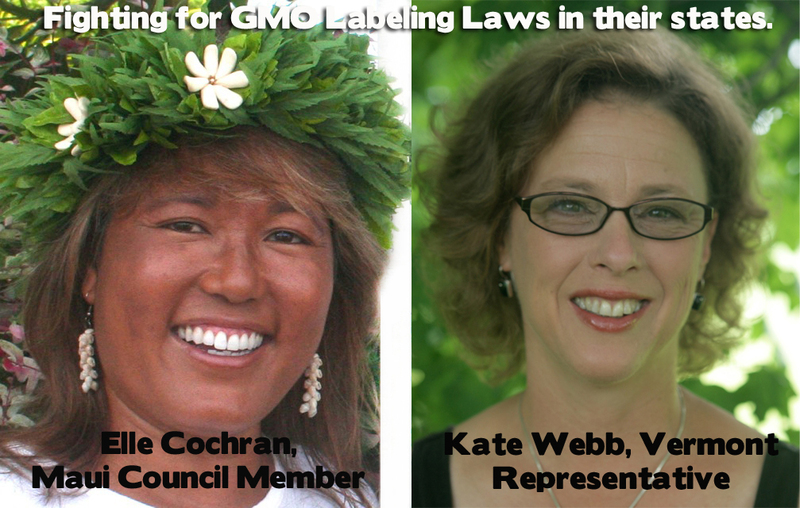 GMO Labeling Heroes Elle Cochran and Kate Webb came together on Smart Health Talk Radio Show to compare notes on efforts to pass GMO Labeling legislation in their states. Click to go this webpage and learn more. Unfortunately our food is not what it was 20 years ago, and that’s no joke. Ever since we have learned to splice DNA and mix things up that would never get together in real life, big corporations have been working on ways to make money off of it and use genetic engineering as a way to steal DNA from plants and animals, patent it, claim ownership, and start charging us money for something that used to be free to everyone. India has just pressed biopiracy charges against Monsanto for coming to their country, extracting the DNA of their most prized food that feeds most of the population, patented it, and plans to sell it with no compensation going to the country it came from or it’s people after farmers worked for hundreds of years selectively breading those crops to come up the best and strongest. Monsanto broke Indian law, and they are not going to let it pass, they are going after Monsanto, and the American people should be as well since we have been used as guinea pigs to test out their genetically modified organisms without long term safety studies before introducing to people. We now how Frankenfoods where things like fish DNA and human DNA have been spliced into plants, and animals that used to be…..food……and is now genetically modified food invented by Monsanto instead of the old fashion way, through mother nature and selective breeding. Some crops such as corn, soy, and canola oil, are as high as 95% GMO, and if Monsanto has there way all crops will come from GMO seed. They could care less that they are contaminating organic feeds, and the entire environment for that matter. As a matter of fact they go after farmers for patent infringement with as little as one plant in their field, which was probably not even put there by them, but by seeds flying off a truck or through the air. Farmers have to pay a fine and destroy all of their seed. For some that seed had been saved each year for generations. Without government regulations enforcement, and instead support from lawmakers, Monsanto has been able to grow GMO research plants in the open, and feed them to entire populations in the name of hunger prevention. That without Monsanto we will all starve. Will we? Well according to the Rodale Research Center, which has been conducting growing experiments for years using several growing methods on identical plots and weather conditions, and started at the same time, in other words well designed studies, which most in the past have not been well designed at all. Their results found that conventional GMO/pesticide/chemical fertilizer farming did not produce higher yields at all. Organic had comparable yields and even did better during conditions such as drought. Probably because organic soil acts like a sponge to hold water in place to give the plant time to absorb it, where conventional soil is so weak for organic matter that water just drains right through it so the plant doesn’t get enough, and precious water is wasted. No harmful chemicals, GMOs, herbicides, or chemical fertilizers were used on the organic plots, but are required for conventional farming and GMO seeds. They were suppose to reduce pesticide use, but has actually increase it because farmers can spray all the Round up they want and don’t have worry about killing their crops. The side effect super weeds that die not matter what pesticide you spray them with. They are popping up everywhere. GMOs contain living organisms, and they are being found active in human gut bacteria. These organisms are genetically programed to manufacture pesticides, and apparently they are able to turn our gut bacteria into hosts to do their bidding. There is a long list of health problems linked to GMOs including fertility and allergic reactions. There is a long list of health risks associated with GMOs on the Institute for Responsible Technology website, and we will have a link on our page if you want to read it. The pollen from these plants becomes airborne and is contaminating other crops and native plants. Think about the potential for contamination if you were on an island. Well that is what Hawaii is having to deal with right now. Monsanto conducting research in the open air, and has planted GMO crops that are contaminating non GMO crops. 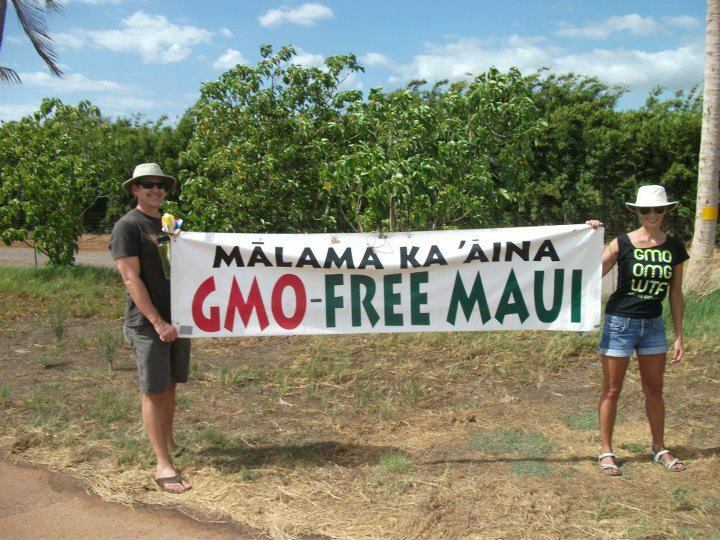 Monsanto has such a strong foothold in Hawaii now, it is going to take a miracle to get them to stop and leave. Is it impossible or can we take ownership of our food back. 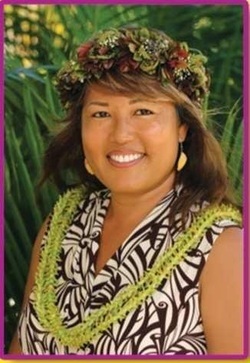 Elle Cochran, Council Member, Maui, Hawaii is willing to take on that task, and has set out to move forward and try to at least get mandatory GMO labeling of all products sold in Hawaii and in the process raise awareness on what is happening with the GMOs going in our bodies. Elle Cochran joins the show. 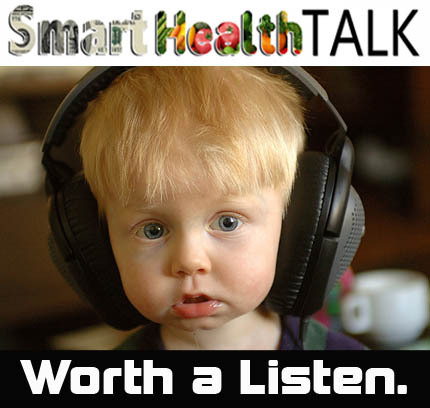 Elle, Aloha, I would like to welcome you to Smart Health Talk. EM: Thanks for coming on. EC: Thanks for having me. EM: What’s it like in Hawaii right now? EC: I don’t want to make you jealous, but it is sunny with blue skies this is our winter, dreaded winter weather. EM: Yes I am jealous and I do wish I was there right now. EC: Maybe one day. Come visit. EM: Yes I will very soon. I want our listeners to hear the story of GMOs in Hawaii, and I was wondering if you could start by filling us in on how GMOs started in Hawaii by taking us through Monsanto’s first big GMO project in Hawaii, which taking the DNA from one of the most important plants to Hawaiians the taro plant. What happened during that time and what did Hawaiians learn from that experience? EC: Well actually I don’t know the exact beginnings, myself and our two staff members had did a tour of Monsanto which is here in south Maui. I had no idea they had been here in Hawaii and had a pretense since 1968. Really? It goes way back and as for the callow, the taro plant which is extremely sacred to Hawaiians and our culture, we Maui county which is very progressive I feel more so than other counties has banned GMO callow from being propagated here on this island or this county. Oahu, that is a different story. I am not from that island and I know the university has delved into it and worked with GMO and all this stuff, but that cannot happen in this county. So my stand is that’s why I am not first hand familiar with what has come about with the taro plant because it has never been allow here, and we aim to keep it that way. EM: I found some old documents and it was probably from about five years, maybe about four to five years ago about the taro and how people were having to stand up and fight at that point to keep the GMO taro away from their island, and their people they didn’t want it and they were saying it’s like crazy. First of all they were trying to say that they were genetically modifying it because of some sort of fungus. Apple snails and the rot that occurs. They were saying was those are caused from not using good practices and bad water stuff like it is something totally reversible by just using good farming practices. EC: Cold clean clear water is what taro thrives in so if the water shed is being effected and the source that that creates a health plant is being effected then obviously you are not going to have a healthy plant because the water source that it lives on is thereby polluted or not as clean clear and cold as that plant needs. So to modify the plant and not look to the source of what is creating the disease fungus or whatever is kind of crazy to me. I am so glad you said that because that is what I was thinking too. EM: We have a couple of minutes here and then we have to cut to break and we are going come back and I want to use that time for you to go through what it was like ……. Because you went and visited the Monsanto plant correct? Ok, So I want us to take the next segment for you to take us through what that was like but first I was wondering with the minute or two we have left here could you paint a picture in our mind when you see Monsanto in Hawaii what do you see? EC: Actually in the public eye they look like a wonderful company. They provide a lot of jobs. They pay really good wages. They donate to good causes to schools and scholarships they give to actually the county in building infrastructure for reuse water lines and things of that nature. Of course they have a benefit tax right offs , they are using reuse, reclaimed water for their crops and what have you. So it shows look at all the great things we do. Then on the other hand when you look at who exactly are they what are they creating and what do they do then that’s where you have the controversy and questions pop up. EC: But as a whole I think the general public and the peoples eyes in Hawaii they’ve done some wonderful things for the state and community. EM: Well you know they’re making a lot of money. I was just looking at some of the things like coke, and all those people, if I had a lot of money I would like to be a philanthropist too. I would love to do that stuff. So we have to decide if were are OK giving money to these corporations for the product they are making and the side effects we get from that product and end up having to pay in other ways so were looking at the true cost of food and environmental clean up, and health problems that we have to pay for and all of these things we have to really look at the big picture when we are evaluating the benefit. Ok so we are going to go ahead and break right now and then we are going to come back everyone and Elle is going to tell us about her big tour of the Monsanto plant and what that was like so stay tuned. EM: Welcome back I’m Elaine McFadden and we are here with Elle Cochran who is here from Maui and she is going to tell us what it was like going into a Monsanto Research Facility there in Hawaii. So first of all how did you even come to be invited to go on the tour? Actually they didn’t even reach out to me, our office reached out to them and asked if it was OK to come and just tour. They were open and said sure, let’s set a date and we did. EC: South Maui Dan Kouch attended also with his staff and a staff member of Mike White’s office another council member here attended too. So there is like three different council member offices that was represented there. That was good. Yea, that was great. Basically we went in and we went to the boardroom where they gave us a power point presentation. Just really generally who they are, and what they do and sort of a breakdown of the different companies that they are affiliated with that carry their Monsanto brand. It wasn’t very detailed but it probably left you with more questions than answers really. EC: It was a free for all open and question session they were all OK and I asked the question about India and the suicides with the farmers, I asked about the lawsuits that occur is that true? I asked if they had saw the movie Food, Inc. and movies of that nature and after all these questions I threw at them there’s was about five representatives there of Monsanto and they sort of dead silent and they were all looking at each other like who is going to answer this and so that was kind of awkward at those moments, and they did have an answer for everything. EM: What did they have to say for themselves? EC: I asked have you folks seen that movie Food Inc. they said yeh and I say to you have any comments that was my first impression of who Monsanto is, what do they do, and how big are they. One of their reps said Food Inc. portrayed us 70% correct and 30% incorrect and that 30% was grossly inaccurate was their comment, and they didn’t elaborate what that 30% was. OK. So that is what they said about Food Inc. Others show Thrive. I said what about the Farmers in India? They said are you talking about the suicides? And they yeah do you have any comments on that and bottom line their answer was they had this kind of said look on their faces when that was brought up Then the one guy goes When you look at the numbers Elle, before the introduction of GMO crops in India, yes there have been suicides and after the introduction there continues to be suicides, but not as much. And they go we understand and I know it sounds really cold on our behalf, but when you look at the numbers the suicides numbers have dropped since we have been there. So that was their answer to that, and then it regards to lawsuits and I guess I forget the name of the gentlemen from the Canada lawsuit, they said according to him the seeds fell off a truck or something and flew by and contaminated his fields and now he is suing us and they said that is impossible, that something like that could never happen. They went through his fields and they are perfectly planted in a row, and it couldn’t ever happen sporadically it had to have been manually done and they feel like he purposely did this to create this lawsuit I guess, and that he has no standing on his claim basically. And then when I asked about people who are caught with their product in their field. They said well no those lawsuits are actually they are not infringement type lawsuits, they call it brown bagging. Those are the farmers who yes bought their seeds, yes they are cultivating it, and signed a contract they could never sell their seeds and all that. So they are putting lawsuits on those people and they call it brown bagging, and that’s how they are justifying those lawsuits, and any monies that they win off these lawsuits go directly to educational scholarships for the kids. So they had to throw that in to explain those lawsuits. So those are kind of the top burning desire questions I had for them and they obviously had answers for everything. E.M. I really appreciate you sharing all of that information with us, and now I am going to start checking everything. EC : Word for word what they said and basically after we kind of went through that and I completely, the living organism stuff didn’t cross my mind. But you know when we left they gave us cards and they say we are open if you come up with questions you want to discuss by all means we are here and let us know. So I can we have an open door kind of rapport going on and again they always have their answers, but I just want to say that these guys seem like very nice guys and all that, and they really truly believe in what they do. You can tell when they speak to you. You can tell when they…..
You can see it in their eyes and feel it in their tone of voice that they truly truly honestly believe in what Monsanto is that they are the future and stuff like that so. EM: I understand what you are saying, I’ve seen that before. EC: Yeah and they just are really genuine when they say these things you are all right, and so we left the office and we went down into the fields and this is where it is a test bed, and it’s the cross breeding and hybridization of all the different male and females going on here with the seed corn. And there’s a gentleman and he showed us how he treats each plant individually like a little pregnancy test strip thingy, and to see if it’s positive for that strain or not and that took us through the field and everyone is labeled with bar codes, and it’s really science fictiony and they even said what we just really sounds science fiction, my next trip will be in West where I actually live ant they have the final product the corn there is the best strain of the best that they farmed there where I live so I am going to see the tour, and they were so excited that I want to go and see these because it’s like the crème of the crop right. It’s like the best king of the crop and this is the dream that every farmer wants to see when they look down these rows of corn is that they’re just identical. Same height, same leaves, same whatever, I mean there is no variation, every plant is an exact duplication of the next. And they go, “That’s what farmers want to see,” and I am thinking really. When I see Mother Nature that’s the beauty of it being different and unique from leaf to leaf to plant to plant, but that’s not their idea of perfection. Ya know. EM: Well I hope that you will come back and share with us what it was like at your next trip. EC: Ya I would love to, and I also want to know the idea about this is their common, the idea of pollen contaminating their plants and what have you, their they’ve tested can only fly through the air when the whatever it is 660 feet to be exact. That’s as far as it can go so they separate their plants from each other, and they feel like they are far enough away from neighbors and what have you, that it cannot go any farther than that. The pollen is too heavy. It just doesn’t. They tested it by white corn and purple corn and they measured so many feet out and the corns that were plants that were contaminated with purple were obviously located so they could see exactly where that purple pollen had flown how far it had flown and contaminated so they seemed to narrow that down to a science of 660 feet that their pollen can fly. And the other interesting fact why they choose Hawaii as their test bed for corn is that we have no corn here, right? And their species don’t intermix so the corn will not contaminate the callow, the taro, the corn won’t contaminate our native plants and we don’t have a native corn here so that’s why they decided to do seed corn here in Hawaii. So I am like, OK.
EM: Well I’m definitely going to have a good time going over all of the information you have provided us with and I’m going to try and get guests to come on and respond to some of the information that they gave you and see what other people have to say in response to those answers. I kind of dissected it a little bit as I am sure they are very good at giving these answers that they kind of packaged up for everyone. EC: And they definitely pick and choose their words strategically. EM: And that’s what I mean when I say they have an answer for everything, but I was wondering if I could ask you to stay on the line. I still have a lot more questions I would like to ask you. EC: No problem I have time. EM: Ok just hold on everyone, we are going to cut to break and then we are going to come back with Elle so stay tuned. EM: Welcome back you’re listening to Smart Health Talk and we’re here with Elle Cochran from Hawaii she is a Council Member there, actually in Maui, which is different than Hawaii, which I did go to Hawaii which is the big island, and I’ve been trying to learn a little bit more about Hawaii, and until a couple of years ago I didn’t even have a clue, and it’s just such an incredible place to go, unfortunately after you have been there a couple of weeks and you come home it is like culture shock and takes you awhile to get back into real life 101. EC: Yes we are very very diverse that’s for sure. It’s just that it changes you. You turn into this relaxed person, that is a little bit different than the person you were when you left, by the time you come back. EC: For vacationing and unwinding. EM: Hawaii is so good for that. EC: People take advantage of that laid back attitude we might have here. EM: That is actually a good point. I really like that point because I feel like it’s almost kind of like we are all alike really in a way because all of this stuff has being going on, with most people don’t even have a clue, Right of what’s been happening, that our food has been going through all of these changes behind our back without no common knowledge and it is so funny that you would talk about how everything was like completely perfect and all the same shape because when I first started selling produce back in the early 80s or so I remember getting these tomatoes that every single tomato looked exactly the same. It was so weird. My grandmother’s tomatoes not one looked the same, so I knew at that point something weird was going on and that is when I started reading and researching myself to find out what has been going on with our food, and I have been going on researching ever since. EM: Well was there anything else you can think of from the tour you want to share with us and I also wanted to get into a little bit about what you’ve been doing as far as trying to get the mandatory GMO labeling passed in Hawaii and it’s a difficult job because you have to get everyone to gather to pass for it to even happen and it’s hard to do that. First of all if there is anything else you want to add about the tour and if you wouldn’t mind sharing with us what your whole experience has been like trying to get the mandatory labeling passed. EC: Yea, so here on Maui, they, Monsanto basically is research. So here they try and produce about 110 to 125 new products, per year out of all these different combinations of 50,000 plants or something, and so they’re just developing the parents the mom the dad the females here. And trying to cross breed those to create that super crop or what have you. And so that was quite interesting. I didn’t really know and so it’s all about research here in Hawaii nothing is really grown for consumption for people or anything. And I guess their product development costs them about 100 million per year which is like wow. Average of 8-10 years it costs them a 100 million dollars for product development this type of work they do around here. EM: Well, they pay everyone a big salary. EC: We have a huge deer problem here and they can afford they had put up a 10 foot chain link fence around their entire 200 acres of land to protect. Wow. The deer have been wiping out our little farmers. And you know everyone especially in Hawaii, so I was quite impressed with that fence because I know everyone in our watershed needs a fence so still I know that the cost and the island of watershed is being trampled over and they need fencing, ya know they keep all the they are so that’s a big thing for these guys which wow which is nice for them. Because I know the cost. The is being trampled over and they need fencing. They keep all the young it’s a big thing in these guys nice for them I suppose I wish we could do it over. EM: It kind of gives you an idea how much money they really make, and when you think about it, especially when I started to read about the biopiracy charges, and India is putting against Monsanto and the fact that it took their farmers years and years to develop that and Monsanto just comes in and just steals the DNA just start making everyone buy what they got for free of course. It is like yea of course they are going to make money off all of those hundreds of years of research for developing really good plants and they just come in and take it. EC: And then I wished I had saw my friend before I did the tour. I went to my friends home and she had just gotten back from Ethiopia, and she said I was in Ethiopia Monsanto has come in and gotten ahold of the government and the government has taken away all the indigenous peoples land to monocrop their stuff and it’s like that story is so similar to Hawaii where the Hawaiian peoples lands have been privatized and taken over and sugar and pineapple has been grown on it. The water has been taken. So similar and she said but you know Monsanto came in and the governments convinced that this is the savior for their people for food and everything and I was like Oh my God she say yeh I just got from Ethiopia and saw it. 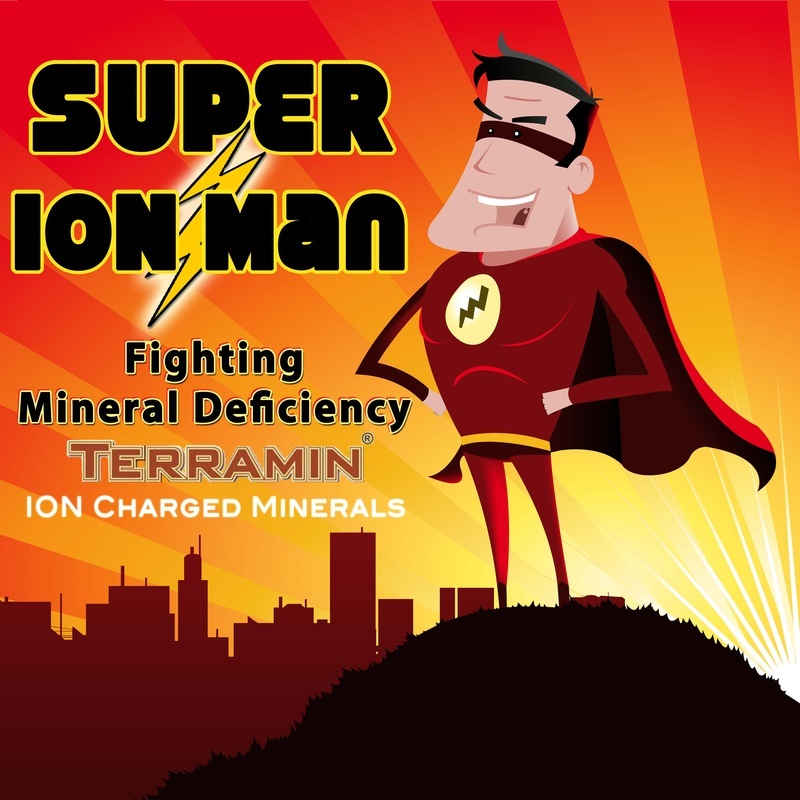 EM: Just how can it be sustainable when you need all these pesticides and that when these people can barely afford seed let alone all the other and they have terminator genes in the seeds so you can’t…. EC: Oh they laid that out right off the bat. Oh about before anyone mentions this let us just say there is no such thing, the terminator gene, there is no such thing. That was one of the first things they wanted to get off their chest and out in the open. EM: So you could save their seed and replant it the next year? EC: According to them, but you sign a contract that you are not going to do that. That’s were that litigation about the brown baggers and so that’s their I guess they made people sign contracts that you don’t do that, you cannot , they said the seeds are capable, but you sign a contract that you cannot doing that, you cannot brown bag. According to them. That’s what they are saying that is the issue. EM: OK it is good to hear what they have to say. We want to know what their side of it is. Yea, that’s their explanation of that. That’s why what you are doing is really valuable. It reminds me when I went into schools and no one even realized that the soda companies had infiltrated all these campuses with 100 vending machines on one high school campus and we didn’t even know what an exclusive right contract was and we got our hands on one and we thought it was like a pentagon document. Because you really don’t understand how these people work, and it is hard to fight against it when you don’t understand how they think and how they work. EC: No of course. Yea, by all means I will definitely keep you in the loop. Oh and then we didn’t go there with the whole labeling but we didn’t ask them point blank because they gone to the council and they’ve gone to the state level and testified and their bottom line is that it costs too much, and we are going to have to relay the cost down to the consumers and oh we don’t want to charge more does anybody want to pay more money for food. We don’t want you to pay more for food. EM: How is a little bit of ink on a label? EC: Three letters GMO, I don’t know, but that is there big fight was that one. On my level, I put in a bill to urge support of labeling of GMO products, ya know freedom of choice for consumers, and it went through the state package which are all our counties, and it Oahu did not support it. The island of Oahu. EM: We are going to have to cut to one more break here and then we are going to come back, and then I was wondering if you could take us through the process that you have been going through and as far as the GMO labeling goes and what it was like going to Oahu and the vote, and all that, so everyone we are going to break for a couple of minutes then come back and continue with Elle. EM: Welcome back we are here with Elle Cochran from Maui Hawaii and she is telling us what it is like to go and visit a Monsanto plant and also try to get mandatory GMO labeling passed for a whole state. You guys actually vote by islands you said some states allow GMO taro and other that won’t. I just want to mention really quick that I don’t know if people realized that there is over 40 countries that don’t even want to buy GMO products and what happens to our farmers here is when their crop is contaminated with other GMOs or if they use GMOs they can’t sell to these other countries because they don’t want them. Especially if they’re contaminated that is really sorry for the farmer because they could’ve made more money, but because they are contaminated they cannot sell abroad and make that extra money. So that’s kind of sad. And when I was over there in Hawaii I wanted to ask you about how I was told that they had planted a bunch of genetically modified papaya trees there and I guess the locals didn’t want them and would come and actually chop them down in the middle of the night. EC: Yeah, Yeah, that was big headline news over on Oahu and on Hawaii Island. That’s funny the paper didn’t mention the types of papaya they were. EM: Yeah, the people were just doing it because they got crazy or something right? EC: Yeah, but perhaps there is a reason why these particular trees were chopped down. Hey, Maui has been progressive and we have around about GMO callow, taro, and we have banned that here so I personally am trying to with my supporters to do labeling statewide, and it’s been a tough battle. Every year I’m told the particular topic comes up to the state legislatures and it gets completely shut down every year. But you know we’re not one to give up so we’ll try it again and basically I introduce legislation to Maui County and it was voted unanimously very supported for labeling and we put it into this package a Hawai'i State Association of Counties (HSAC) package, and all counties had to accept and agreed to all the wording in this legislation for it to move forward to the state level and the County of Oahu did not agree so it failed on that level through HSAC and the package, but I am personally taking the legislation by hand to Oahu and going door to door to the key members of our state legislators to see who can hopefully back me and push this forward under their sponsorship I guess. EM: You are awesome Elle, you’re awesome. EC: That’s what I do. EM: That is hard. That is hard stuff. It is hard going up against any of those people. Like you said they are very embedded in the communities, and I’m sure with the university. EC: Big time. Yes. Especially there. The people have their doubts too. We all love education and our future and our children so you have to take a hard look at who’s supporting who, who is in bed with who and at times you will find out it ‘s not so savory, but it’s something that I am going to do and I am looking to see how far I can get or what. Who are the supporters out there, I don’t really know. Is there a head of agriculture, what side are they on, I don’t even really know. So I ‘m going to go ahead and learn and bring awareness to those that don’t know and I’m going to find out who really are on point and want to move something like this forward. EM: We need to learn from each other, you know there is efforts in California to get the mandatory GMO labeling passed and you’re making efforts over there and if one state can get it passed it will make it a lot easier for more states to follow just like with smoking on airplanes. EM: It started in California and went national. So we could potentially make that happen. EC: Right. People thought we think we are a resort and we have lots of restaurants and banning smoking in restaurants and bars that’s crazy that’s suicide nobodies going to want to go to a bar and eat where they cannot smoke. But guess what it turned out to be great. EM: It wasn’t doom and gloom like they thought. EM: Well it’s one step at a time and we need to educate the public so they get on board and understand what is happening here so they can make good decisions for their own families whether they want to eat these foods or not and find out like you said find out more what they are thinking and their practices. I just want to thank you so much for all of your efforts. EM: You are doing really great things you are making things happen that need to happen and it’s not an easy job and it’s hard going up against these really strong people and big money and I just want to thank you for being so strong and such a great leader and I want you to come back and give us some reports and what you are learning through this process so we can share it with other people around the world and around the country and we’ll learn from each other. We’re just trying to make our food systems safe and healthy because we know that effects our overall health and quality of life. 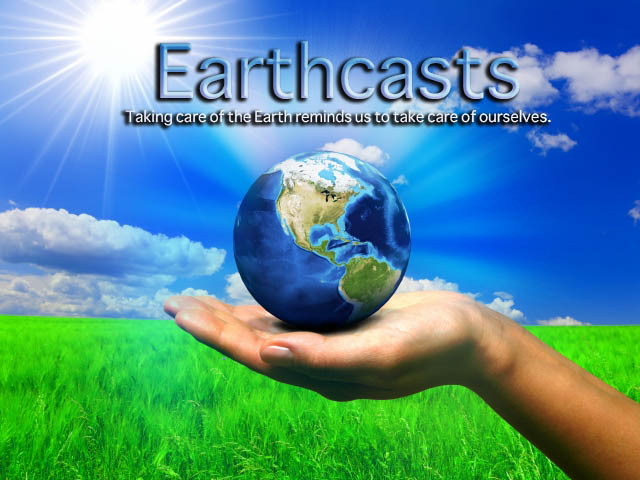 EC: Thank you to for what you do, and Happy Holidays to you. EM: Ok thanks so much Elle. Below is a copy of the proposal submitted for a vote that would have made it mandatory ingredient labels to identify any Genetically Modified ingredients used in all products sold in Hawaii. All of the islands have to vote in favor before it could pass. All islands but Oahu voted to pass. 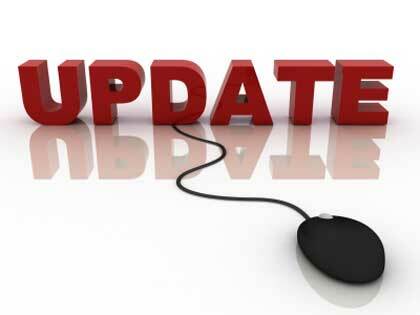 Scroll down to page 13-20 to find content relating to GMO labeling. 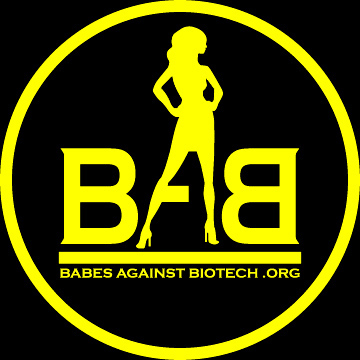 Nomi Carmona, President of Babes Against Biotech has been working to educate legislators and the locals to bring attention to the issues, bills, and laws that are being influenced by biotech lobbyists/corporations. Biotech has control of large amounts of land in Hawaii and use that state to research new pesticides and GMO seed right where people live. They have big money and expensive lobbyists, but we have Nomi and her team fighting for the rights of the people and local Hawaiians. Nomi had shocking reports about what is happening to people and children who are being exposed with Monsanto pesticide testing drift right next to schools and homes.